Here come, the summer is almost past and there is time for us to get ready :) It seems like there are very interesting stuff coming this autumn and winter. And least but not last 20 minutes video from the same gig. You can watch it in youtube, or download it from the website. Gas doesn't stop making us smile with all those pictures of cool meals he is eating in the restaurants, but surely he finds time for serious stuff as well. diring the summer tour gigs he tryed his hard to surprise us with a few videos from the type "Drum Cam". 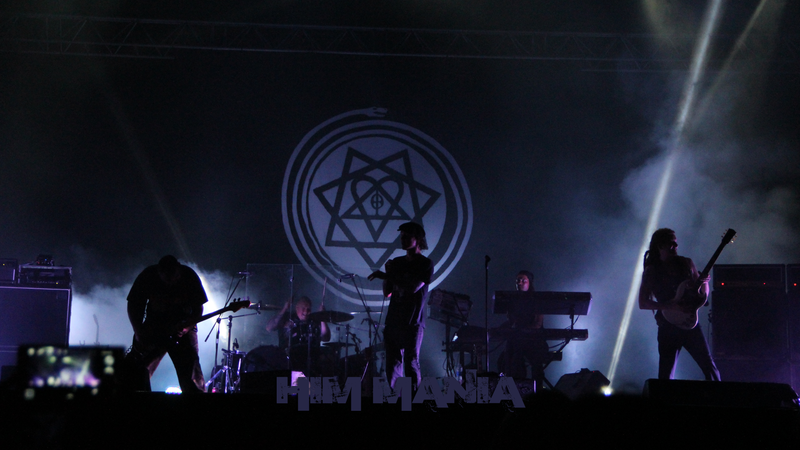 This autumn the band is starting work on the new album. 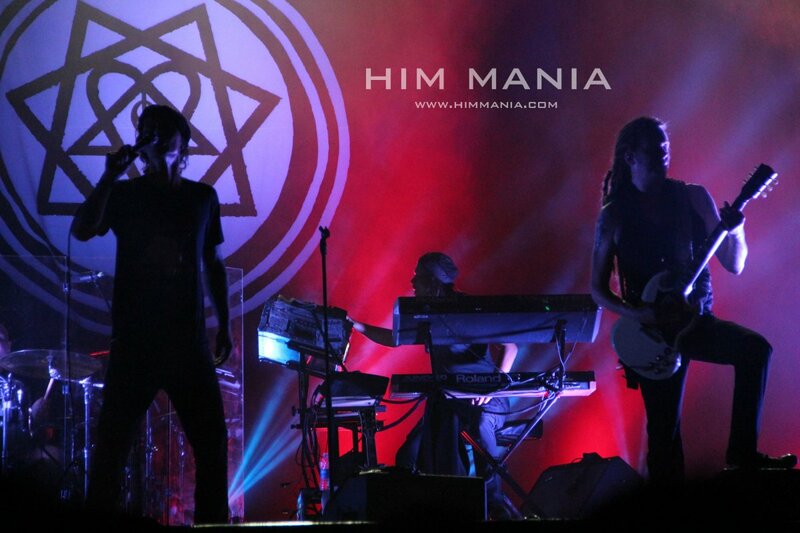 Ville is working also on "hymn-church-like-songs",and the album is supposed to be released 2016 the latest. 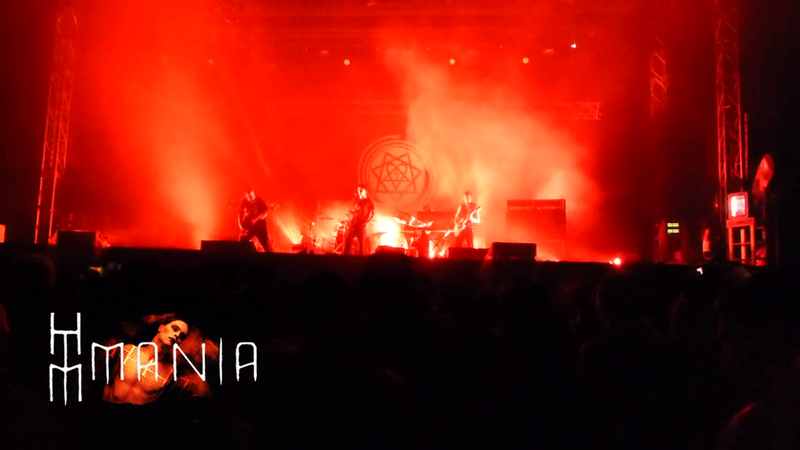 Expect very soon pictures and a video from the İstanbul gig on the 2 of August 2014. Here comes something very new! And happy summer to all! The other news is connected to a sudden surprise. moshcam.com released an on-line concert of the bang from Sydney, Australia from February early in the year. 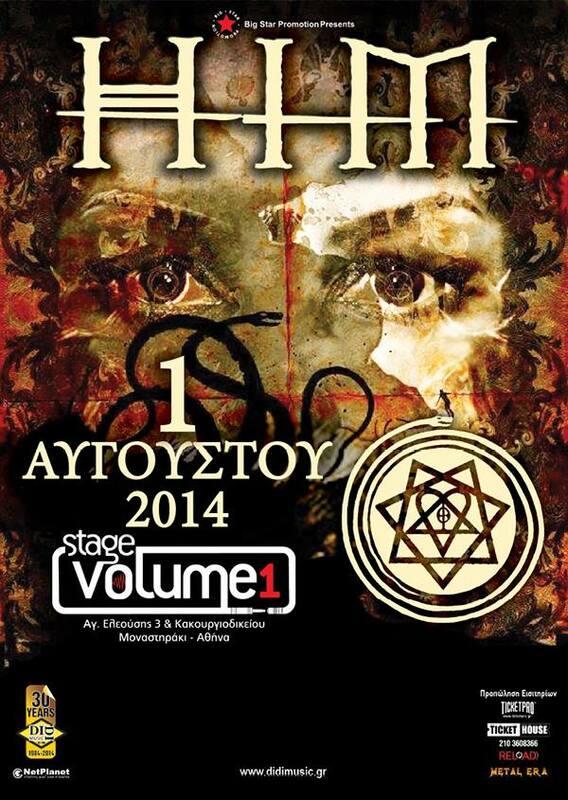 For all who intend to go to the Athen's gig, you can join the following topic into the forum. Istanbul or Athens?! This is the question many of you are asking themselves, right? For the 1st time for 7 years the band will come so close to our lovely country. Istanbul is merely 6 hour drive by car, Athens a bit further away. I believe, that many of us will organize and will go to one of the two events. 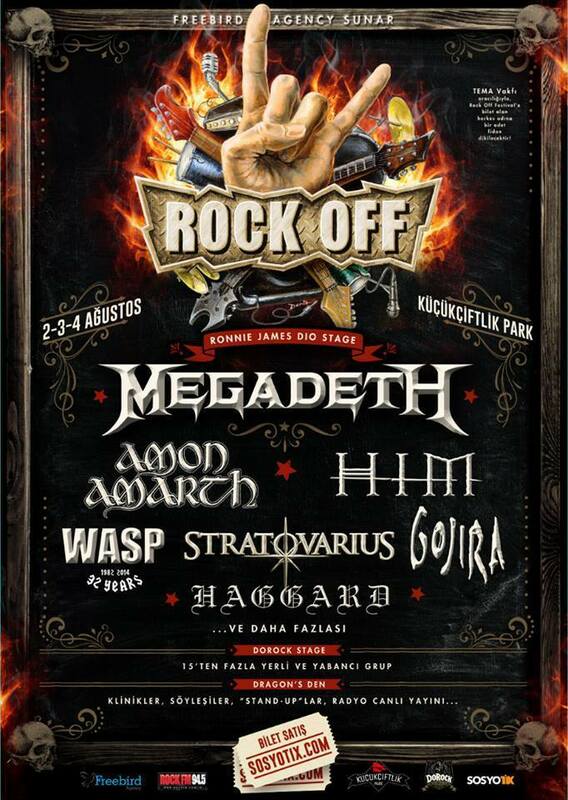 - the gig in Athens will be their own, but in Istanbul they will be the headliners, so the gisg will actually be the same length. 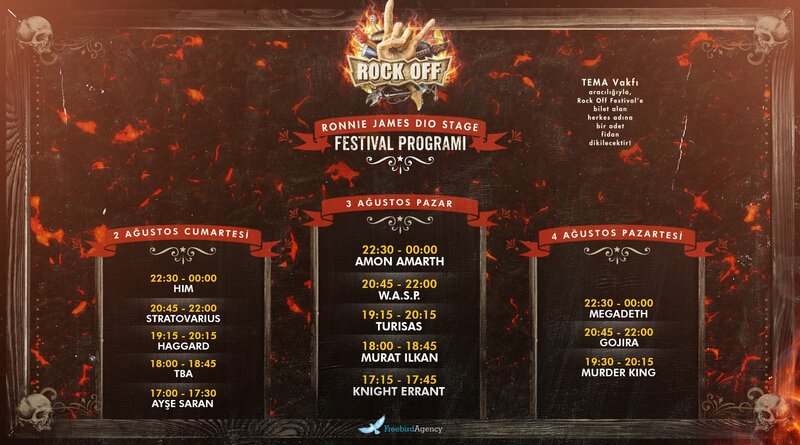 - In Istanbul in the HIM day, Stratovarius will also be playing. - In Athens there will not be probably a group before and if so it won't take longer than 30-40 minutes. - In istanbul the ticket for one day is 31 euro, in Athens - 29 euro. 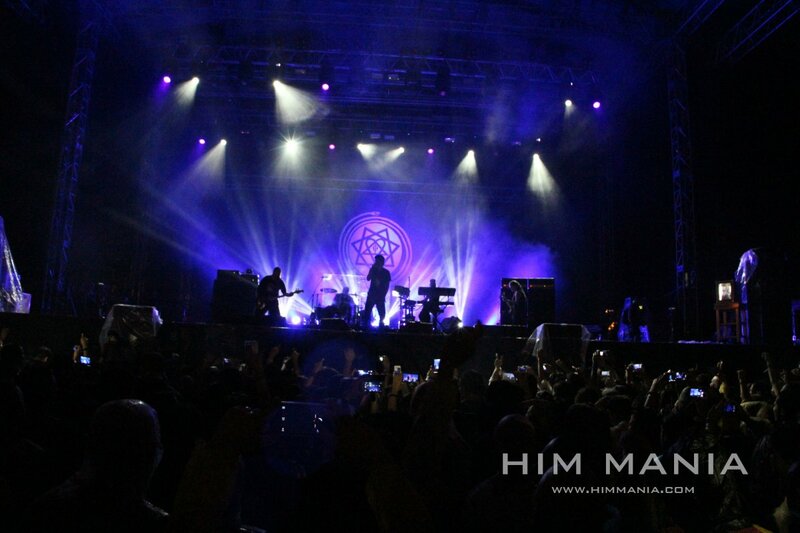 - in Athens the audiance will be only HIM fans, in Istanbul mized. All questions, opinions or ideas can be discussed in the forum! The band is currently rocking in the US and this is gonna continue untill the 4th of April. 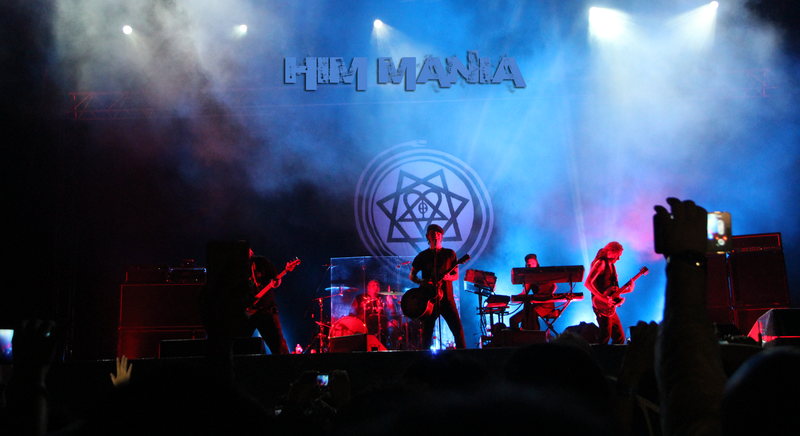 Afterwards they will participate in a few summer festivals. Unfortunately, only 3 dates have been confirmed so far. Something very shor, but in a very good quality for video of the month! In 10 days period the band is starting their US tour, starting is Australia and going to the South and north America later on. Follow up the summer festival dates that are soon gonna be added and do not miss the opportunity to be present at som eof them! :) Let's hope that till the end of the year they will reenter the srudio for some new stuff! One of the strongest trachs for the past year. I am so sorry that it took us so long to prepare the new texts for the webcite. The year was a little tense, I suppose not just for us, so we barely found time for the webcite. However... the section is upgraded with the original texts of all songs. If you notice some mistakes, please do not hesitate to write to us, so we can fix them. Which one is your favourite videoclip from Tears On Tape? When Love Starts To Die won in the quest for most favourite song from Tears On Tape, followed by All Lips Go Blue and Love Without Tears. Exactly ten years from this emblematic concert of the band, I was sure that we have release anoter video from this particular gig, but the archive shows otherwise :) Maybe the most rocking live of all times when it comes to this song....at least if you ask me... A pretty clear visual, why this song never stops being part of the setlist of the band. 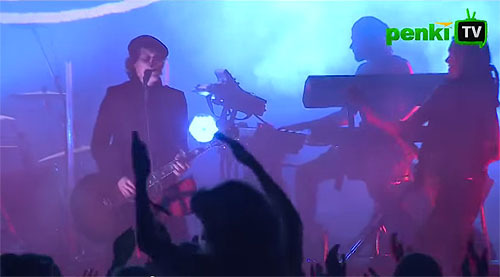 In the web one can still find the whole rip of the concert, which was broadcasted live on the national MTV3+ in the New Year's Eve ten years ago. 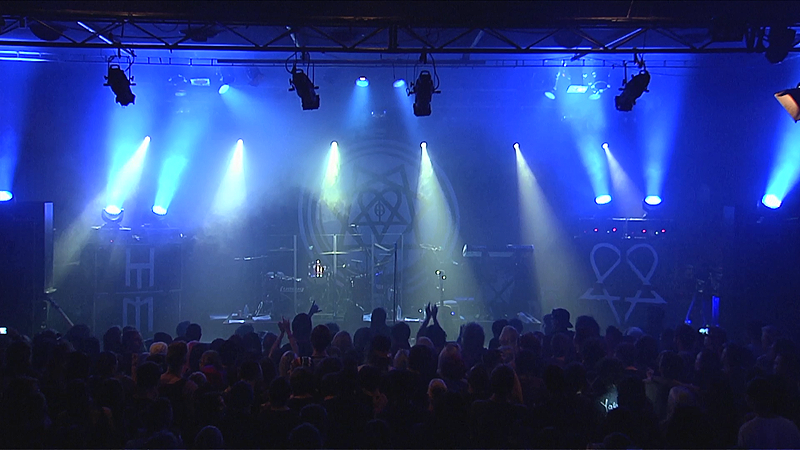 Actually the direct broadcast included a few videos of the band, an interview with Bam Margera and the gig almost till the end... Actually the encore was not shown but was ripped and later on included in Love Metal Archive Vol.1. Enjoy!